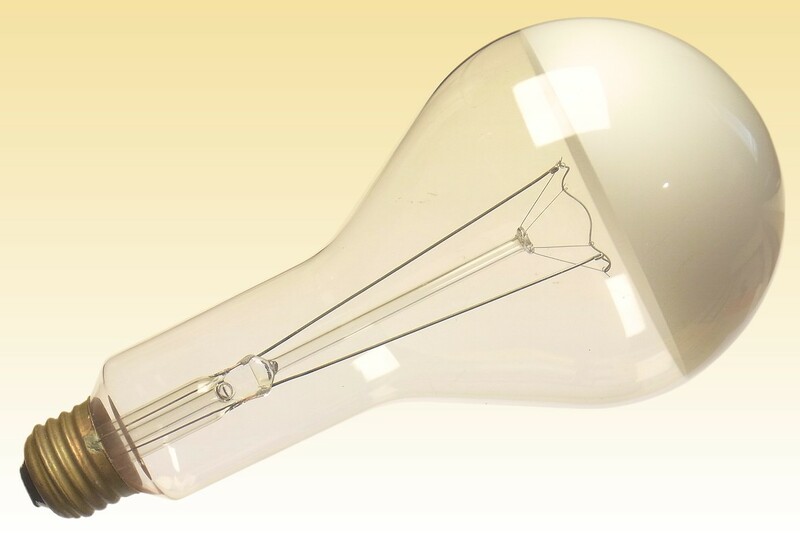 White Bowl incandescent lamps were introduced by GE in America in the 1930s to meet the growing desire for glare-free indirect lighting of indoor spaces. The concept originated following the 1912 development of the classical so-called R.L.M. reflector lighting fixtures of the Benjamin Electric Company. 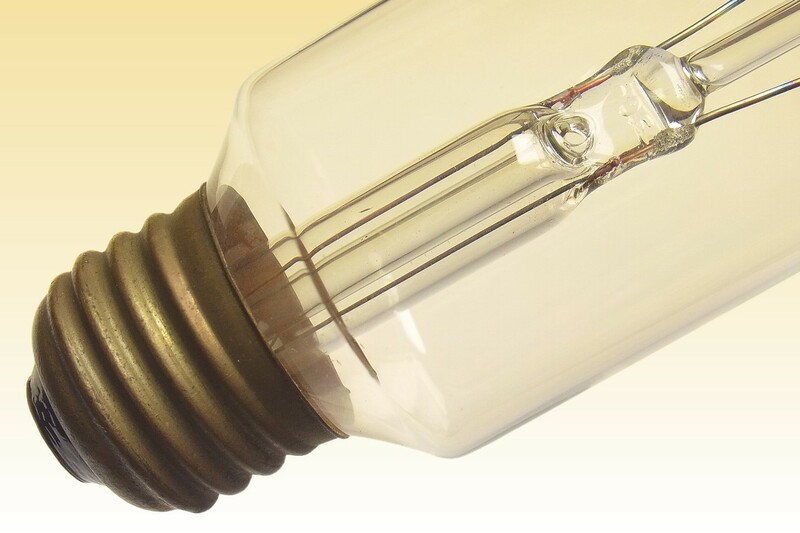 The name means "Reflector Lamp Manufacturers Standard", and it was one of the first scientifically designed and standardised industrial lighting fixtures optimised to work with standardised incandescent lamps. 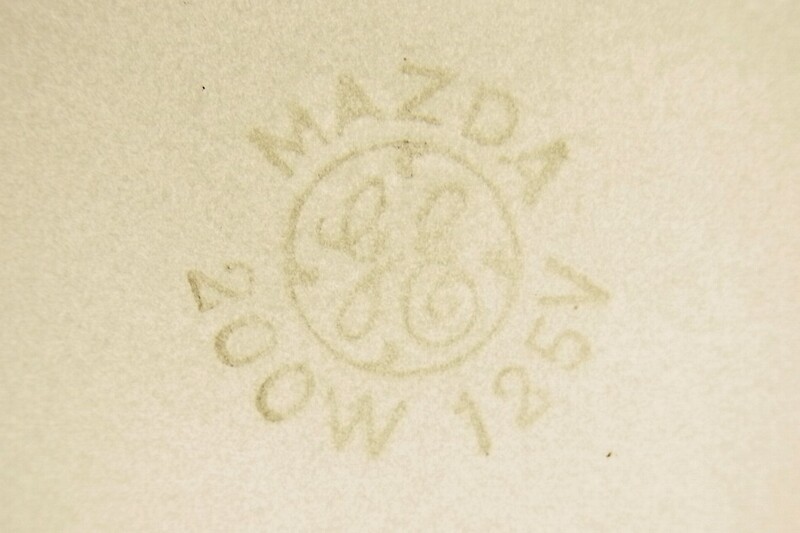 Benjamin sold its patent to GE who licensed it to many other competitors, and the RLM soon became one of the iconic American industrial lighting fixtures. White bowl lamps were developed to further improve this concept, especially for low-hung luminaires. They shield the filament from view so as to reduce glare and soften shadows, and direct a greater proportion of the lamp's output upwards towards the luminaire so as to attain improved optical control by the reflector. The concept revolutionised industrial indoor lighting by permitting a notable increase in light levels without an increase in glare. 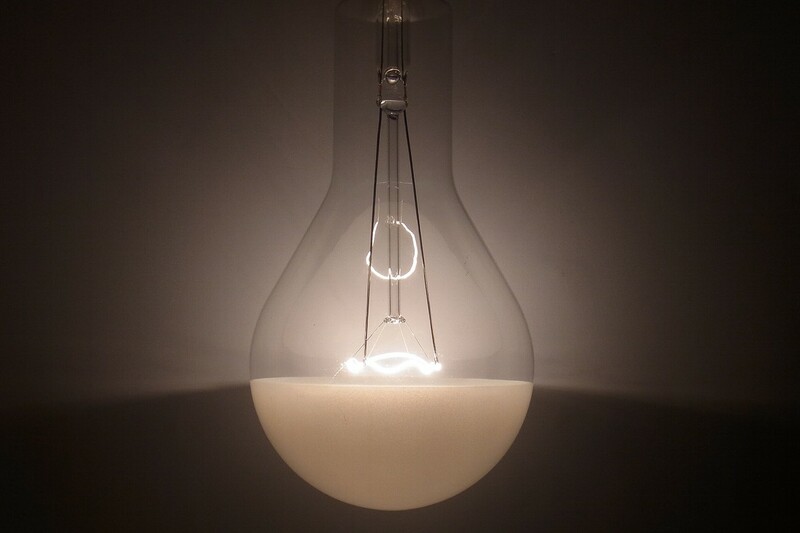 The coating consists of a white enamel applied to the inside of the bulb. 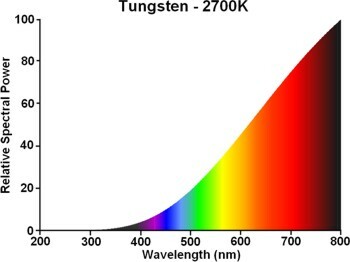 This results in the absorption of about 3% of the luminous flux from the filament, and of the remaining light about 80% is reflected upwards while the balance of 20% is transmitted downwards through the coating. 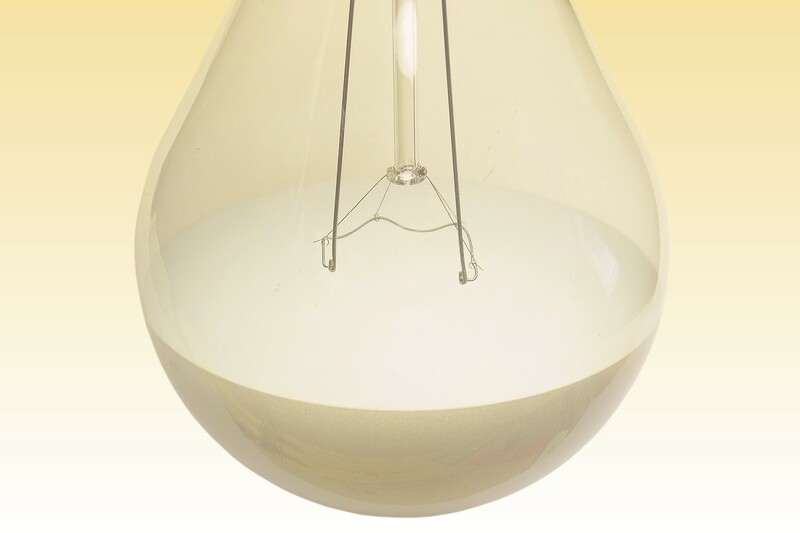 Since the reflector is made of a diffuse white material, ordinary clear glass bulbs were used in preference to the more common inside frosted glass bulbs as those would not have offered any further improvement. They were produced in 150, 200 and 300W and were discontinued in the 1960s. Factory: Ohio Lamp Plant, Warren U.S.A.
3) Mazda Lamps Characteristics & Applications, C.E.Weitz, General Electric U.S.A., August 1939 p.31. 4) General Electric Lamp Bulletin, C.E.Weitz, General Electric U.S.A., May 1946 p.24. 5) Industrial Electric Lamps and Lighting, E.S.Lincoln, publ. Essential Books, 1945, p.21. 6) US Patent 1,038,072, Reflector Shade, R.B.Benjamin, Benjamin Electric Co., Filed December 1911.